Encorp Marina is Fully SOLD. Thanks for your interest. Encorp Marina a freehold "Sentosa Cove" like luxurious waterfront condominium development with service apartment status located at Puteri Harbour, the crown jewel of Nusajaya, the key driver of Iskandar Malaysia. It is the Perfect Getaway Home Investment within easy reach of many Singaporeans, just 15 mins drive from Singapore 2nd link at Tuas and soon also by ferry from Raffles Marina. Encorp Marina is located at Puteri Harbour which is the jewel of Nusajaya and is one of the 8 key developments to catalyze the growth of Nusajaya. Nusajaya is the key driver of Iskandar Malaysia. Nusajaya's vision is to be the "World in One City", a cosmopolitan metropolis, designed and planned to enrich the lives of all who live, work and play there with state-of-the-art facilities. Excellent Connectivity: Only 15mins away from Singapore by vehicle via 2nd Link and soon by ferry via Raffles Marina. Nusajaya town tourist attractions and amenities within 10 mins drive. 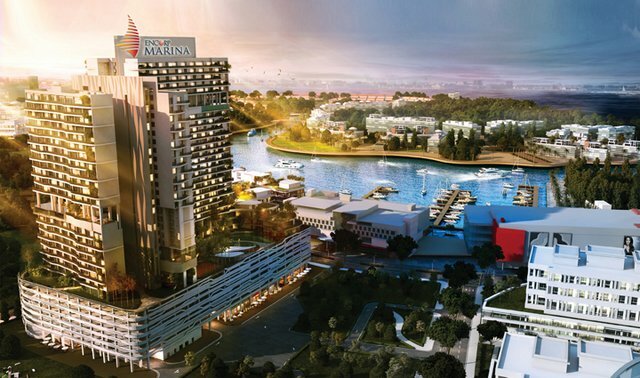 Encorp Marina is a freehold luxury waterfront development offering spectacular panoramic views of the Straits of Johor to Singapore and the Puteri Harbour Marina. When completed by 2016, this iconic development of 538 apartments with luxurious finishing, fittings and condominium facilities with excellent security features, will be a glistening jewel looking out to sea offering residents 360 degrees of indulgence - with excellent views of the waterfront to the East, a lush park to the west, as well as views to a private marina to the south. Located in Puteri Harbour, the crown jewel and one of 8 signature developments of of Nusajaya. This waterfront precinct offers the experience of exceptional waterfront living, dinning, entertainment, the arts and culture in a safe picture postcard setting. 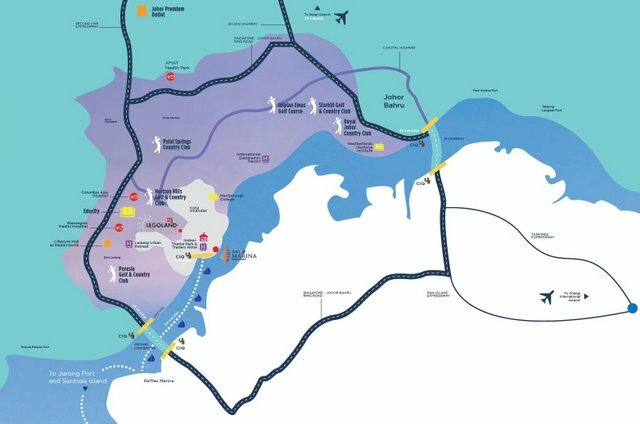 Encorp Marina is also strategically located with ease of accessibilty to Singapore CIQ within 15mins by vehicle via 2nd link or by ferry to Raffles Marina at Puteri Harbour within walking distance. Most of Nusajaya town amenities and tourist attractions are also within easy reach of 10 to 15 mins. Nussajaya is the key driver of Iskandar Malaysia. It comprises eight signature developments - Kota Iskandar (Johor state new administrative centre), the Southern Industrial and Logistics Clusters (SiLC), Puteri Harbour Waterfront Development, EduCity, Afiat Healthpark, Medini, International Destination Resort and Nusajaya Residences, all within a city that sets the benchmark for integrated developments across the globe. As there are slight variation on the floor plan for each unit type, please indicate in the registration form below your unit type preference and we will be glad to send them to you. 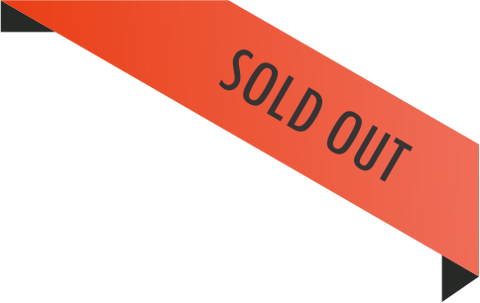 Thank you for your interest Encorp Marina is fully SOLD OUT!